For 2019, we’d like to add some new additions to some of the most epic and emotional deaths in the world of anime. Not only did the following selected characters’ deaths impact the story, but the emotions of the fans as well. With the characters we are about to share, to paraphrase Ivan Drago, when they die, they die. They don’t come back to life like American comic characters, they stay as dead as disco, Uwe Boll’s directing career, and a good number of cancelled Fox shows put together. So, whose deaths were the most impacting? Read out top 10 to find out! And one last warning: THERE ARE GOING TO BE SPOILERS! Kicking off this list is Martin, the sister of Sophie, the co-lead of this edition of Garo. Throughout most of the series, Sophie goes out to seek her brother, who has been gone for years and has found proof that he could still be alive in the so-called lost city of El Dorado. By the time she finds him, he was already dead on the inside since he was cooperating with the bad guys the entire time. As it turns out, his programming skills were used just so a monster, or a horror in the world of Garo, could enslave souls. Things go from bad to worse when he is consumed by that monster and Sword must kill him. However, he finds time to redeem himself by giving his sister the password to end the system enslaving human souls. As to what makes this death emotional, throughout the duration of the series, it has been about Sophie wanting to be with her brother. Unfortunately, this is a cautionary tale of if you find what you’re looking for, you might not always like it, but there may still be hope for just one second and to never let it go. 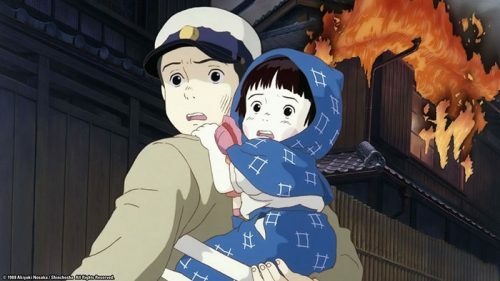 Two deaths we feel should be worthy of acknowledgement are that of Seita and Setsuko, the main characters from Grave of the Fireflies. They survived repeated fire bombings and most diseases. Unfortunately, they couldn’t survive starvation by being out on the streets. 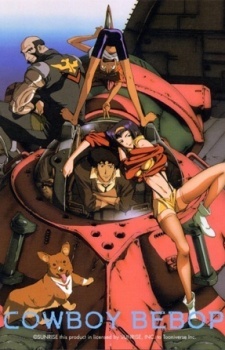 Throughout the duration of the movie, you see how they struggle to survive as they face every adversity put in their way, and try to do so honestly. By the time the movie starts, they’ve already lost their mother and it’s assumed that their father, who is serving in the Imperial Navy, is likely dead. What makes their death so emotionally impacting is that these two children have lost everything and all they have is each other. Unfortunately, Setsuko is the first to go and it happens during a time when Seita managed to get food, but it was too much for her to go any further. Seita dies shortly after and is nothing more than just a footnote to those that find him. What the passing of these two children symbolize is what war can do to children, and the responsibility that adults and society have to protect them. 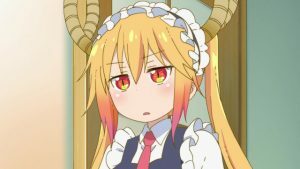 Ok, so this character was already died prior to the beginning of the series, but it was her death that sets things in motion, and it relates to real life issues such as bullying and suicide. Still just a teenager, she had her life ahead of her. Thanks to the internet, everyone has a platform and you see how her suicide demonstrates that is both a good and bad thing. 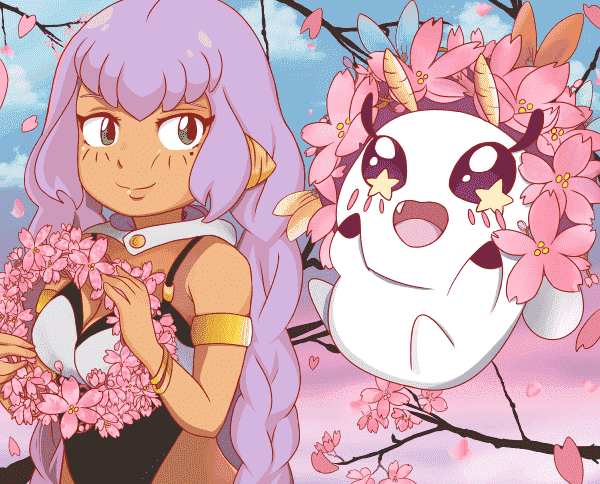 Through art websites, she was gaining recognition for her art and was friends with Sota, the main character. Eventually, her internet fame allowed her to gain the recognition of one of her favorite artists for a collaboration. 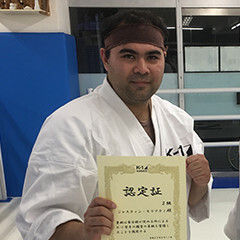 Unfortunately, unsubstantial claims of plagiarism ruined her reputation and Sōta did nothing to support her since he was jealous of her and cut off all contact with her. As a result of no one sticking up for her, she took her own life and it paved way for Altair, her original character, to come into the real world with the intentions of destroying it. Through her passing, we can learn how bullying and not supporting victims can lead to. It is not simply the fact that Nina dies that makes it heartbreaking, but the circumstances that lead up to it. No thanks to her madman of a father, he fuses her and their dog out of desperation to get more money and keep his alchemy license. 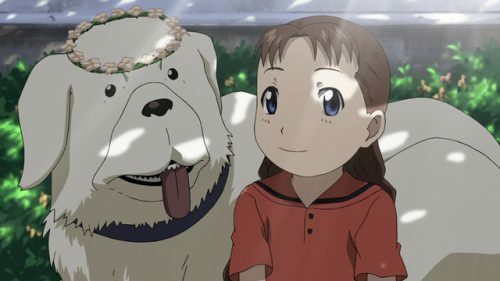 What makes this death more tragic is that Nina is still a little girl and she was very outgoing and playful, especially with her dog, Alexander. Now stuck as a fusion with her dog, Scar, one of the series’ antagonists, violently puts her out of her misery. Considering Scar’s extreme methods, despite calling it a mercy killing, could have been done more gently since she was dying with tears in her eyes. What ultimately makes this death emotional is that whatever it was that happened to her, it was all against her will and that she was only a child. Miki has been Akira’s best friend since childhood and she has always tried to be a friend to all. Throughout the series, she’d go out of her way to find the best in others and never compromised her values, even when the world was going literally going to Hell. When she and the world discovered that Akira was Devilman, she still stood by his side and tried to plead with her community that Akira was still human. And what does she get for standing up for her beliefs? She and her family and barbarically lynched by a fearful mob! What makes this death so emotional is not only was she trying to stand up for her friend, Akira, that very friend was still fighting to protect the human race from other demons, and sadly, the person he wanted to protect the most was killed by humans. Shirley was just your average high school girl in a world where three super powers were at war, and she was still enjoying her life. Unfortunately, Lelouch, her crush, just had to get involved in the rebellion business. 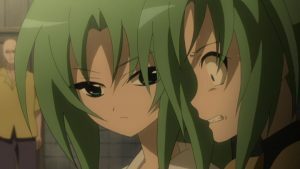 She gets taken hostage by the rebels Lelouch associates with and he was the unintentional cause of her father’s death. 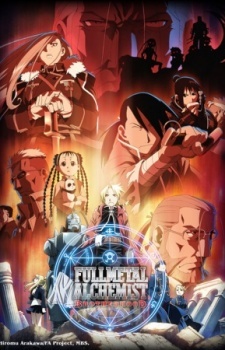 Eventually, she comes to discover that he is Zero, but immediately erases her memories in the first season. 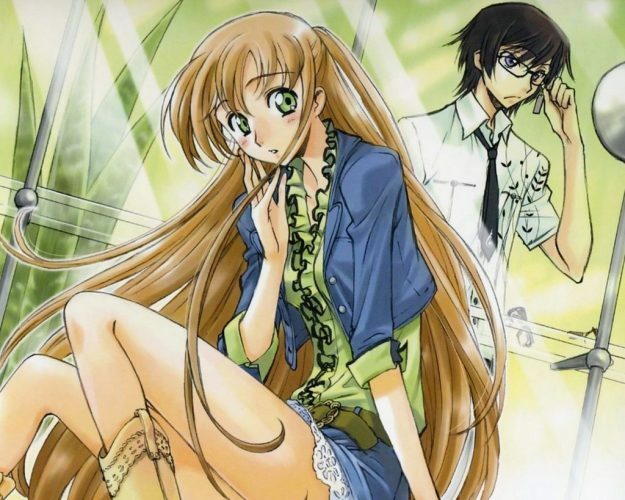 At first, all is (mostly) back to normal for a year until Jeremiah’s Geass Canceler brings her memories back, and after processing everything that has happened, she wants to help Lelouch’s cause. Unfortunately, Rolo, Lelouch’s assistant, kills her out of jealousy. 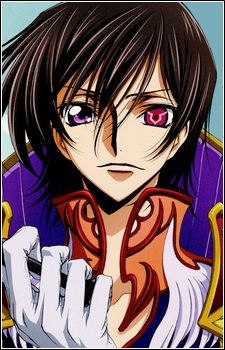 When Lelouch finds her, she comes to terms with her feelings and confesses that she loves Lelouch. Knowing that she’s a regular innocent teenager, he does everything possible to keep her alive, but even excessive blood loss is beyond the power of his Geass. As to why this death is impactful, it shows that Lelouch can’t save all of his friends, even the purest ones who care about him the most. This may not be for Tekkadan as a whole but it is mostly in context to Akimoto, Biscuit, Orga, and Mikazuki. While characters dying are not uncommon in the world of Gundam, very rarely do we see the main cast getting killed off. 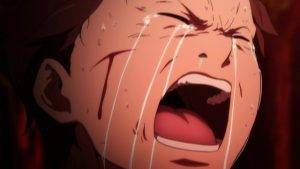 Then again, the main cast of Iron-Blooded Orphans aren’t your ordinary main cast, which further contributes as to why their deaths are not just distinguishing, but emotional. In comparison to your usual teenage pilots, Mikazuki isn’t an academic overachiever who just found himself to his Gundam by chance. 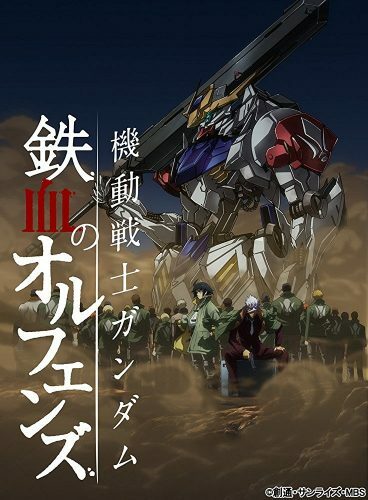 As for Mikazuki, and the rest of the private mercenary unit he belongs to, Tekkadan, they are fighting because of economic conditions on Mars and that they are orphans. Due to their accomplishments in helping Kudelia get to Earth to recognize the problems on Mars, they become heroes and the source of hate for other Earth based military organizations. In their final battle against Gallarjhorn, one such organization that has every bit of technological advantage in their favor, what Tekkadan makes up in lack of technology and proper manpower, they make it up for in heart and balls, and in their last stand, that is what they show. In the end, Mikazuki faces the biggest fight of his life and him and most of his closest friends die in battle, and what makes it even more tragic in an ironic sense is whatever it was they were fighting for, they got it in the end. After their deaths, Mars finally achieved its freedom (along with children being exploited for labor) and it was ironically thanks to the enemy! However, what makes their deaths epic is that their sacrifices weren’t in vain. 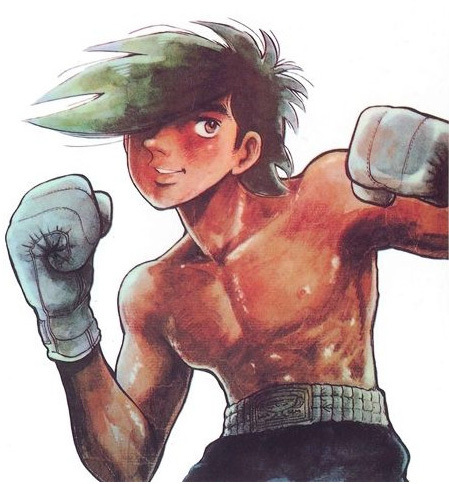 From the history of anime and manga, Joe’s death in Ashita no Joe is probably one of the most iconic images in Japanese pop culture. His death pose is actually featured as a statue on a bench in Tokyo for crying out loud! But Joe’s death does more than to merely signify the end of the series, but the end of a hard and long journey as Japan enters a new era. Joe came from the streets and discovered he could make a name for himself if he took up boxing. He never cared about becoming a champion or a hero, he just wanted to prove his own self-worth to himself. As a character, he was heavily flawed and his antics at times made some of sports’ worst bad boys look like saints. He was certainly a product of his time and his lower class environment, but his accomplishments empowered the people he represented. By the age of 21, he was on the verge of being an invalid and he still chose to fight an accomplished champion with remarkable power. Like Rocky when he fought Apollo Creed, he was a million to one underdog but as long as he can go the distance, he can still prove that he’s not just a bum. Joe went out there and did his thing. He took a beating, but he also delivered a beating to the point where no matter who won, both fighters were never going to be the same. By the end, Joe lost the decision, but content that he was able to prove himself that he can make it to the very end, he smiles as he sits in his corner and quietly passes away. Joe was meant to represent the lower class people (whether young or old) of post-World War II Japan, which was still recovering from the damage of the war. 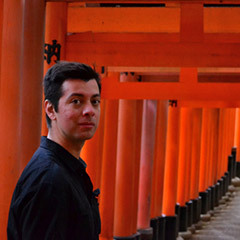 By the time the series ended in the mid-1970s, Japan was on its way to becoming the second biggest economy in the world and what Joe was meant to represent had run its course. Joe’s death as a whole symbolizes an end of an era and it was time to move on to an unknown and yet better world that lied ahead of Japan. 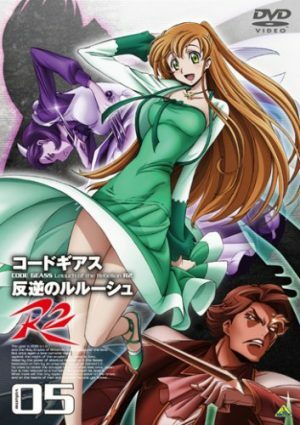 At number 2, we have to give it to Kircheis, who dies in the first quarter of this classic series. Is he killed by the Free Planets Alliance? Or a fanatic of the Phezzan merchant planet? No, he is killed by a rival Galactic Imperial soldier who wanted to assassinate Reinhard, his best friend. Despite having an argument prior to his death, Kircheis went beyond the call of duty and saved Reinhard’s life at the cost of his own. 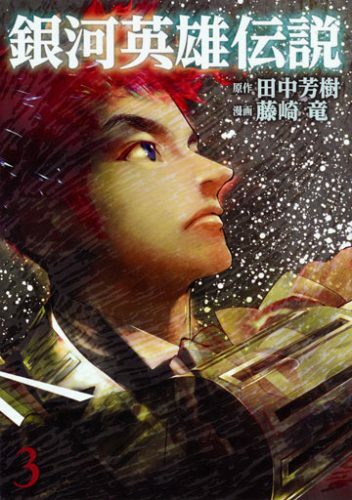 Considering how much Reinhard valued both his companionship and his wisdom, it forever changed the course of history in Legend of the Galactic Heroes, and it certainly changed Reinhard, who you tend to see in isolation for the rest of the series. Even surrounded by company, the series presents he still has a vast sense of emptiness without Kircheis. Whenever Reinhard expressed himself too aggressively, Kircheis was always there to keep him humble, and remind him why they want to conquer the universe for the greater good. Throughout the rest of the series, both Reinhard and the rest of the admirals under his command all wonder how things would have gone if Kircheis was still around to help out. Not only was he an effective and charismatic leader that equaled Reinhard’s ability, but he had a compassionate heart who would have made relations between the Empire and the Free Planets Alliance much easier. For you fans that have been watching anime since the 90s, you probably enjoyed Fushigi Yuugi. 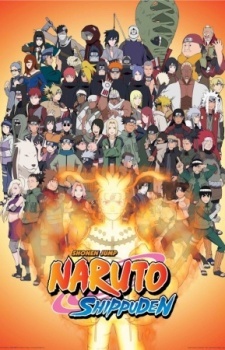 If there is one death from all of anime history that we have to put at number one, it has to be Nuriko’s. What makes Nuriko’s death very iconic to its fan base is not about how he died, but about it relates to how he lived. 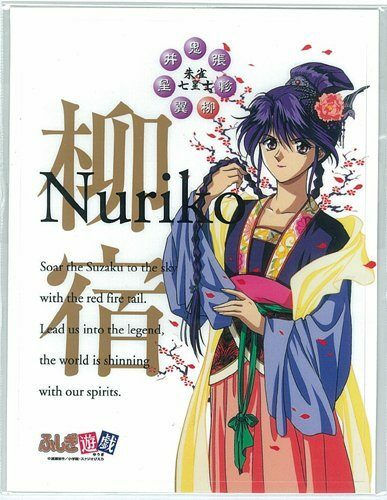 In an age before mainstream pop culture positively portrayed gender fluid characters, Nuriko is certainly a character that stands out from his time and even now as the issue persists in modern media. Nuriko never cared about what other people thought of him, and he always looked at the bright side of things. Despite the tragedy of losing his sister during his childhood, he did what he could to preserve her memory and was really nice and caring to others around him. The reason why fans feel impacted by his death is because out of all the characters on this show, he was the one who deserved to live the most. For some characters listed, they were the definition of live by the sword, die by the sword. They knew what they were getting into and if it meant dying, they were more than ready and there would be no regrets. For some, they were simply innocent children in a situation they had no control over. 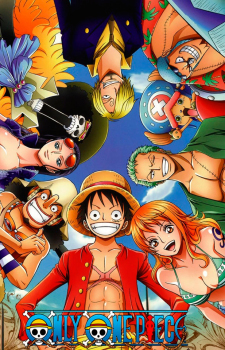 And there are those who died to correct their failures and to help their nakama. Due to the many circumstances and motivations of the deaths we chose, they all touch us in different ways that may or may not be relatable, but they find a way to make it internal for viewers to take in. 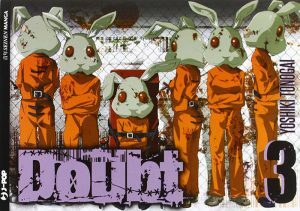 Welcome to another segment of Honey's Anime Top 10 list. It's a lot fun writing these lists and doing an intense amount of research in order to bring you some of the best selections that everyone could agree on. Of course, not everyone will agree with this list, but overall, I do feel most will find these to be honorable. It should go without saying, these Top 10 lists will contain spoilers, and since we'll be covering some of the most epic deaths in anime, please continue to read at your own risk. The list below will have some of the most epic deaths in anime, which will consist of some epic feels. A lot of these deaths have been known to bring tears to the viewers eyes. Including me! These selections are all equally great and will not be in any particular order (Except for the last three). So without further ado, let's all go to feel central in this Top 10 Most Epic Deaths in Anime! Maes Hughes is a Lt. Colonel who works in the Investigations Department at Central, and is very passionate about his job. Even though his position at Central is a very depressing one, he always finds time to be funny and loving towards his wife and daughter, who are is life source and motivation for continuing his work. He is also well-known with many other characters in the series, and is best friends with Roy Mustang. His death would be one that causes a ripple effect in the series as he discovers the military is building a giant transmutation device. Hughes is killed by Envy because of his discovery, and is a very epic and emotional death that touches the hearts of many. Not just the characters in the series, but for us viewers as well, especially when he says his last dieing words! Kittan Bachika has to be one of the most epic deaths, following Kamina's death several years earlier. 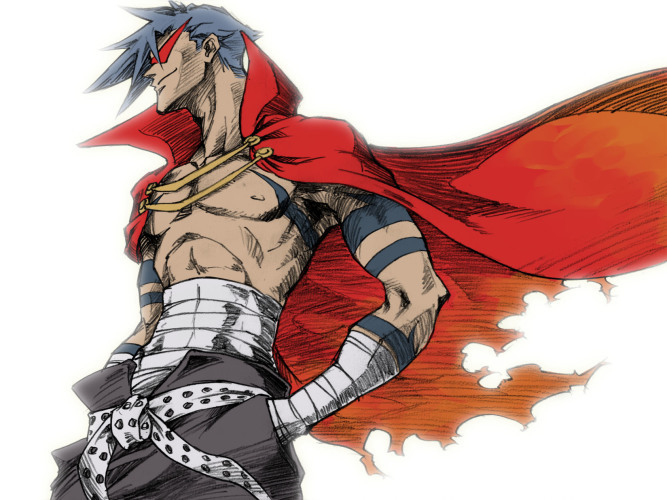 Always looking up to Kamina, he makes a name for himself by being one of the best and most skillful Gunmen pilots without having the use of Spiral Power. He was able to destroy a whole mess of Ganmen and anit-spiral ships, leading to the his death against the Machine's core. He succeeds in blowing up the core which releases Simon from the space sea, saying the spiral power which he was finally able to activate, was really something before his death. 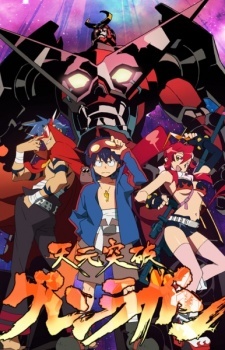 That moment had to be one of the most emotional moments in Gurren Lagann. 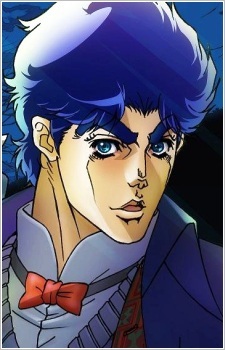 Jonathan Joestar is a noble and kind hearted individual who loves his father and cares for others in the most gentleman way, for he seeks to be a “true gentleman”. Knowing his honesty and nobleness, makes his death one of the most emotional in the series. Jonathan's death is very tragic. 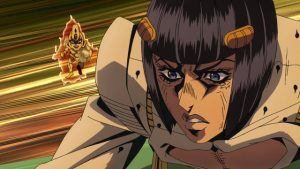 Especially since he's always been seeking to finally live a happy life, and after marrying the one he loves, it is once again destroyed by Dio. 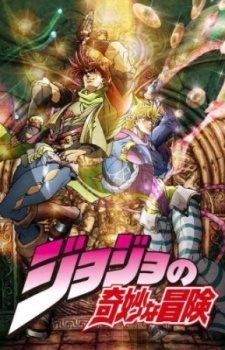 This has Jonathan making the ultimate sacrifice as he fights with Dio aboard a ship which is sinking, and later dies from his wounds because of the attack. The whole process of the event is both exciting and traumatizing for many viewers. 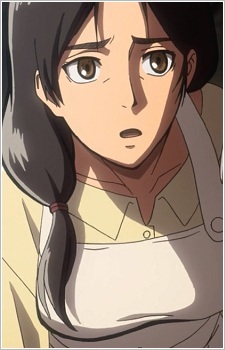 Kalura Yeager is the loving mother of Eren Yeager and adopted mother of Mikasa Ackerman, as well as the loving wife of doctor Grisha Yeager. Kalura's death is the most epic and emotional death I have personally seen in an anime after just a few minutes of the first episode. She barely survives with severe injuries while being pinned under her destroyed home during an attack from titans. Knowing her fate, due to her condition, she requests one of the soldiers to take Eren and Mikasa away to safety. 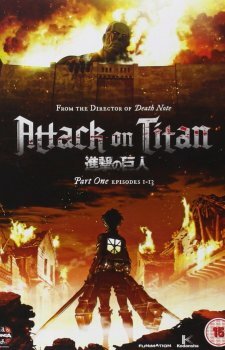 It is then that a titan finds her and grabs her from the rubble of her home, and is eaten by the titan while Eren watches as he is carried away. Feel central, indeed. 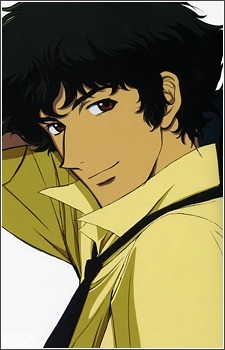 Spike Spiegel is an excellent bounty hunter and former member of the Red Dragons Crime Syndicate, with his former partner Vicious, becoming his enemy. His death is one of the most epic deaths in anime. Because of some complication, spike is forced into hiding, where he later is discovered and is hunted by Vicious. Much later in the series, he reunites with his love to only witness her death in a gun fight with the Red Dragons. 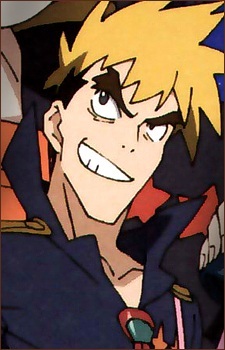 Spike then has a final battle with Vicious, which ends in bloodshed and chaos, and then the death of them both. The only thing is, no one really knows if Spike actually died in the series, it is speculated that he is alive, but nothing is rock solid. The fight scene leading to his uncertain death, was indeed epic. Lelouch is one of the smartest characters in anime and is perceived in Code Geass as the saviour of the people, giving his life for their freedom and peace. The series itself is one giant complication, filled with twists and turns in the plot like never before. 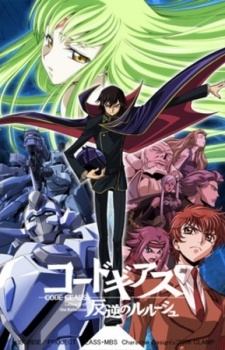 Lelouch's death is one to remember, and has many thinking if it was all for nothing, or everything, as he is stabbed in the heart by Suzaku who was disguised as Zero. This was all part of the Zero Requiem they had planned, as he dies smiling, his last words are he is who both destroys and creates worlds. 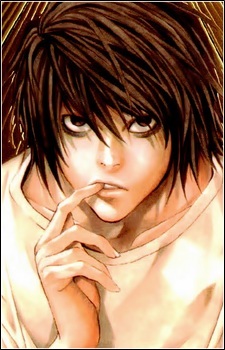 L's death from Death Note is one of my favorites. 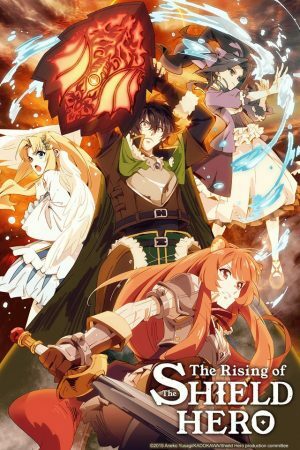 Not because it I enjoyed it, but because it was well-written and necessary for him to die, which made the plot of the series, one of the best in anime history. 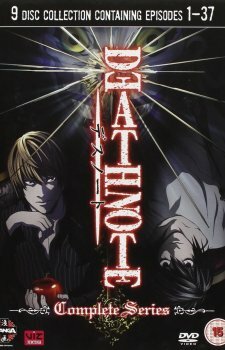 L's involvement in finding the Death Note user was so intense, when he finally revealed the first Kira (Light), the last thing L sees if Light's crazy evil grin of defeating him. At this point, there were a lot of emotions going on which I couldn't comprehend, this was in fact an epic death that I'll never forget. This particular death is of Vegeta when he is facing the ancient monster, Majin Buu. With Goku suffering from the attacks of Buu, Vegeta steps in and attempts to bring him down. 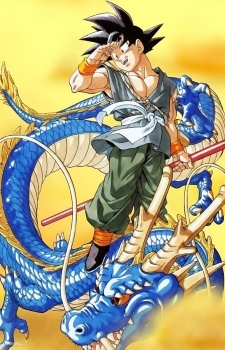 His own son, Trunks, saves him from one of Buu's attacks which has committing the ultimate act of sacrifice in order to save his son and the others from Buu. Vegeta uses a self destruction technique, known as the Final Explosion, in an attempt to kill Buu in a nuke-like blast. 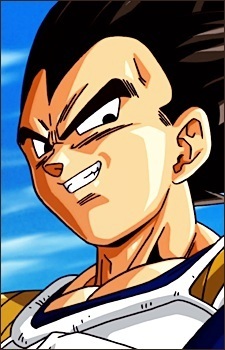 Vegeta's body is turned into stone afterwards and shatters, with Buu still alive, and everyone mourning his death. It was especially sad at that point knowing he could not be wished back to life since he was already wished back from his battle with Frieza in the past. Jiraiya's death from battling Pain in Naruto, is one that surely brought a tear to eye. Finally getting to see him in battle, definitely left me surprised as it was unknown that it would be his last. 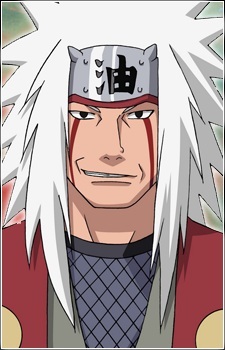 Jiraiya was fighting for a cause that was unexpected to him and the viewers of the series. It was definitely an epic battle that complimented an epic death, as he fought Pain until he was pinned, and his life began to wine down. His last thoughts before he died, was how unworthy his death was compared to the Hokage's, but as honorable as a frog at the bottom of a well, which drifts off into the great ocean. 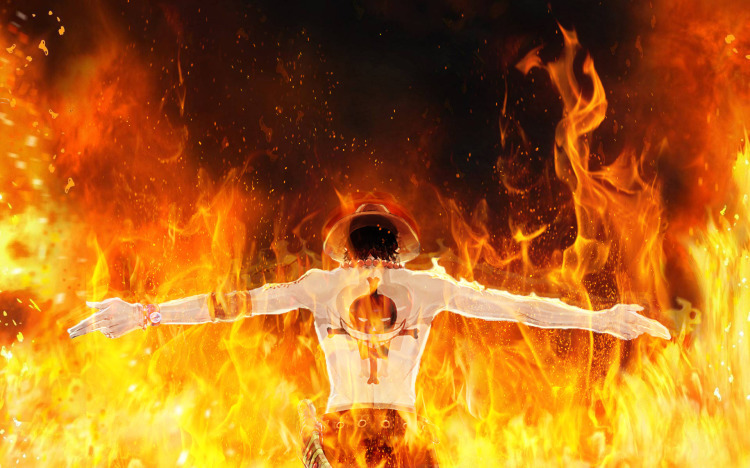 Whitebeard's death is the most epic in my eyes, mainly because of the many situations he was confronting at the time, and because of his love for his crew. 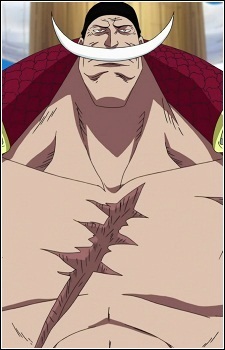 Whitebeard was definitely a man of honor and respect amongst his crew, and would never let anything happen to them. When he heard Ace was captured and about to be executed, there was no doubt he would show up to rescue him. This rescue ended up turning into an all out war, where Whitebeard ended up being betrayed by some of his men, as well as, suffering wounds from the war. The amount of wounds he suffered were so immense and catastrophic, even at his current age and medical condition, he died standing which in an impressive way compared to other characters in the series and in other anime. Phew! That's it! 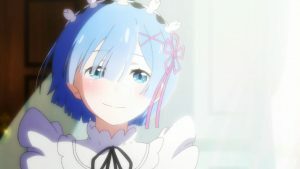 It was hard writing this without having to remember all of these moments in anime that impacted my life, which brought tears to my eyes. These epic deaths are ones I will never forget and always cherish. They made the series, or the plot, more enjoyable than ever. Is there an epic death you would like to add? Which one had you filled with all sorts of emotions that lead you into, feel central? Let us know in the comments below!